Description: A very noticeable plant. The leaves are large and coarse, deep green and roughly maple shaped, triangular, though with three identifiable lobes. It can grow very tall (6-8'). The stalks are very large, though hollow and covered with numerous white hairs. 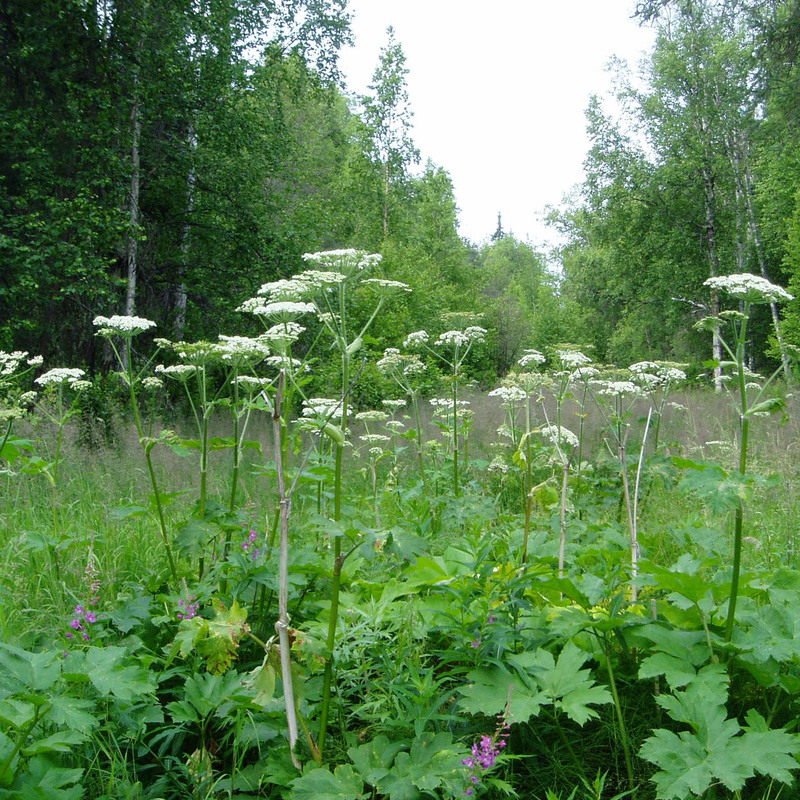 The flowers are are a white umbel like other Parsely family members, therefore positive identification is a must. The seeds are juicy and striped dark green on a lighter green. The eventually dry to a papery shell. In southern Alaska, during the summer, the white flowers really stand out against the green. It grows prolifically in moist areas and along roadsides at low elevations. Edibility: The seeds are suggested for use as a spice. I can imagine this, though it is a very unique taste, and seems medicinal to me. Poisonous: This plant could be comfused for other poisonous member af the Parsely family. Use caution and make a positive identification.